Although the Maroons’ 9–0 sweep at Henry Crown Field House was not shocking at all, it was by no means guaranteed. 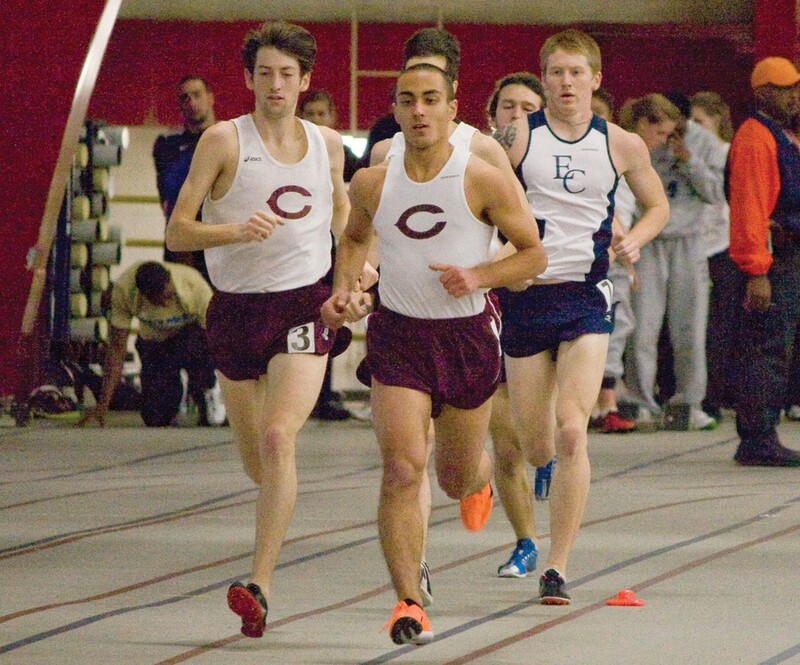 There wasn’t the toughest field at the Chicago Duals this Saturday—see Elmhurst, Illinois Tech, UIC, Loyola, North Park, Northwestern Track Club, Robert Morris, Roosevelt, and St. Ambrose. Although the Maroons’ 9–0 sweep at Henry Crown Field House was not shocking at all, it was by no means guaranteed. The intensity made for a different scene than a typical Maroon track meet. In their first home meet of the season, the Maroons dominated the field, dismantling schools like Robert Morris, 104–0, and Illinois Tech, 100–29. Their most narrow victories were against Beloit, 97–52; Elmhurst, 88–43; Northwestern Track Club, 97–49; and, by an especially small margin, St. Ambrose, 82–66. In competitive events, the men saw overall individual victories by fourth-year Tyler Calway in the 55-meter hurdles, third-year Jake Torcasso in the pole vault, and the men’s distance medley “B” team of fourth-year Brian Schlick, first-year Ben Nickerson, third-year Anthony Farias-Eisner, and first-year Kevin Vollrath. The men also had several top performers in the 800-meters and the mile. With the UW–Whitewater Invitational next Friday and the conference championship in less than a month, the Maroons have high goals—and high demands.